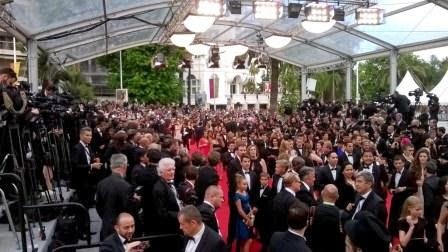 How do you network at Cannes? Well you just go with the flow and keep the deck of your business cards ready. That is about it. People are there to network and you might find an important contact anywhere while peeing in a crowded toilet or queuing up for watching a film. We made a good little group of Indians, Srilankans, Mexicans, Italians and Spanish guys at the short film corner. Like most of the groups, our group also went hopping pavilion parties and drank well. For 2-3 consecutive evenings by the time we reached Turkish Pavilion, after Short Film Corner, Indian pavilion and European Pavilion, most of the group was high and they bonded well. Learned that unlike French who seem to be kissing the air, Mexican literally kiss your cheeks to greet you. 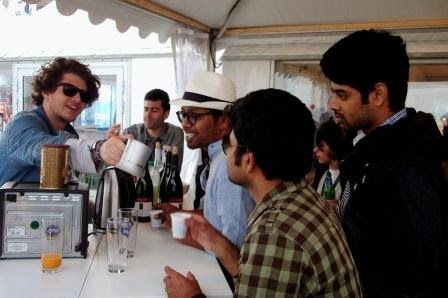 And being the only non-alcoholic married middle aged Indian guy in the group, I wasn’t comfortable with that. I did tell them how Indians greet, either a Namaste or a good handshake. The Mexican girl was slightly confused as to why no one else seemed so bothered. I gave up, trying to explain her. But yes I think this is the group that I will be in contact with for the longest time in future. And yes you need to try Turkish Coffee whenever you get your hands on it! Our day in Cannes used to start at around 8-8:30 and we used to come back home by midnight. For the entire day, all we used to do was, watch movies with filmmakers and meet people. Imagine doing nothing else. The sheer number of people you meet is overwhelming. And the day starts. No we did not spend our time and money in that Casino! Met an Indian actor working in Hollywood, who was nice enough to guide us. He introduced us to Sudhir Mishra, A director from Qatar (who talked about Santosh Sivan like a very close friend), a British Indian Filmmaker and a Hollywood producer, though we had no idea what to talk to them. I liked this camaraderie thing, where people want other people to meet as well. I went to a Yashraj film party as well along with him and it really was full of people I would have liked to be – Kanu Behl, Gitanjali Rao, Avatar Panesar and many more. We saw Kamal Sadanah as well, and the children who grew up in 90s that we are, I and Sopaan (a cinematographer friend and an ex-infoscion) we almost were about to sing “Dil cheer ke dekh tera hi naam hoga” to give him an identity. On a quick lunch break gobbling some fruits, I met an interesting writer-director from U.S. who was there with a comedy film and who had many Indian friends including Siddhartha Mukherjee (writer of Emperor of Maladies). Premieres of films were also good places to connect to people. In one of the premieres (screening of Timbuktu), a lady sitting next to me asked me to click her photo, so that she can send it to her daughter. Later while talking to her I realized she is CEO of a firm of 200 people and manages to make films as hobbies. She has been visiting all big festivals and markets for last 5 years - Quite a personality. She left 10 mins after the film started. She guided me in those 10 -15 min on how to tackle legal matters for films and gave me contact of legal firms dealing in films. Found a programmer for Abu Dhabi film festival, a French writer, a UPENN student, who was sitting next to me in one or the other screening. After an absolutely unassuming break after a tiring day we met Ricardo, a film festival programmer for Indian Film Festival of The Hague. What a personality! 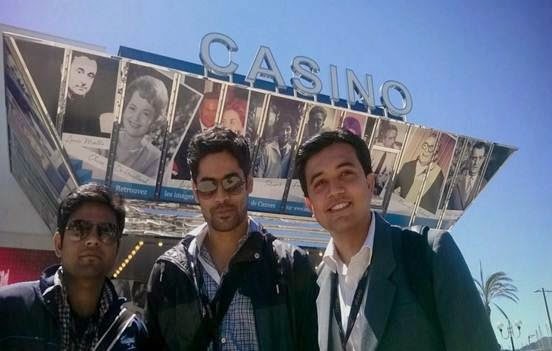 He spent almost an hour with us, chatting on how we can make our trip to Cannes more fruitful and interesting. And of course there were planned networking sessions by India Pavilion where we met range of folks ; Producers to whom we pitched our films, filmmakers, a French winemaker looking for sponsorship opportunities (who was surprised to know that he can’t sell wine in Indian movie halls) and his Japanese wife who was a photographer, Indian Animation producers and so on. An interesting person I met there was an Italian actor, a nice girl who wanted to work in Bollywood. I remember the 3 lines she mentioned “I loved Mother India. I want to work in Bollywood. I can dance.” Made me think how the world perceives our Cinema. 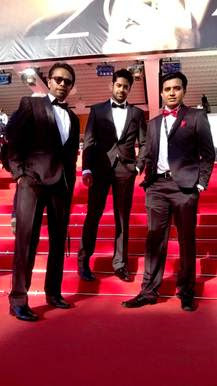 Then there were freelance artists from Paris – a fashion designer who worked on themes of Hindu mythology, an Indian classical dancer, a freelance diplomacy document writer and so on who were visiting Cannes. Walking the lanes of Marche du films, we came across many people from Indian press. Some of them were really intrigued to know that I am an Infoscion and I am a filmmaker and I don’t see why it should be different J. One of them, a nice gentleman who was interested in talking about NRN with me, had actually recommended my name for adding it to the delegates from India list (he chose me randomly out of all the short filmmakers, it seems). 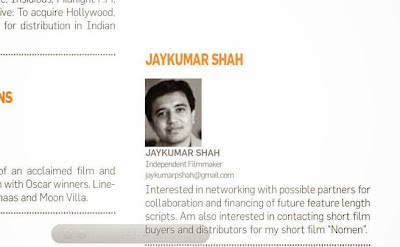 There were other Bengali filmmakers from TCS and PWC as well, which was very reassuring. 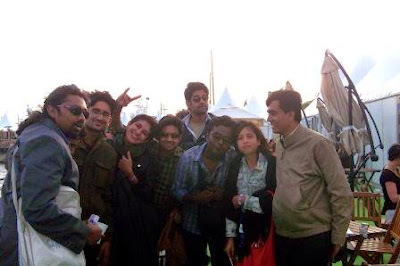 The sessions with filmmakers on various topics, arranged by India also worked as a networking opportunity in many ways. There were sessions with Titli cast and crew, Kamal Hassan, Ramesh Sippy, Guneet Monga and many others. Most of these people, who are there for business, left by 21st / 22nd of May and the festival was supposed to be till 25thMay. This left us with 3-4 non-networking days. And we did what one should do at a film festival in those 3-4 days – watched films. Very Interesting, thank you for this. The way to play slots online is a standard game in Thai society.